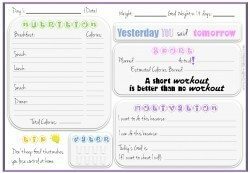 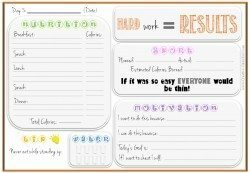 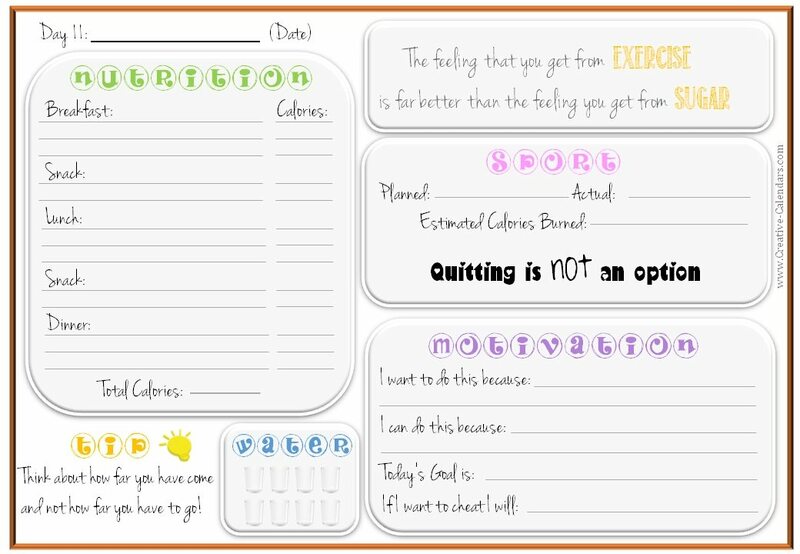 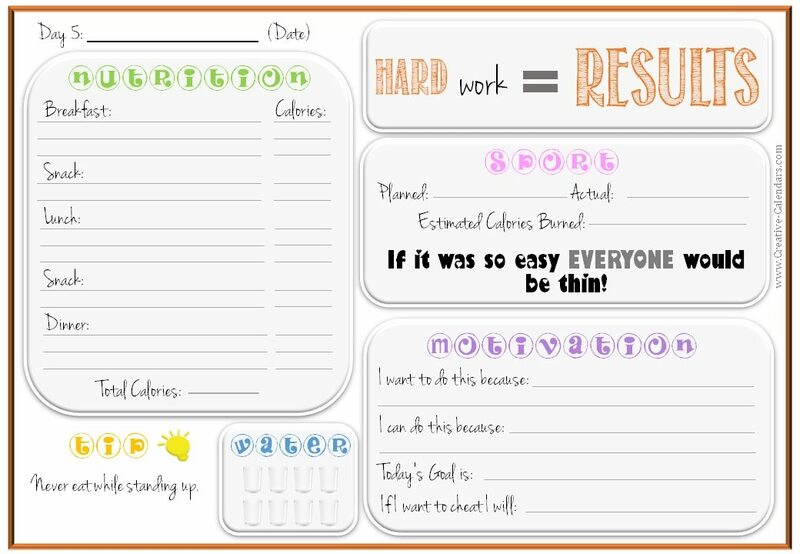 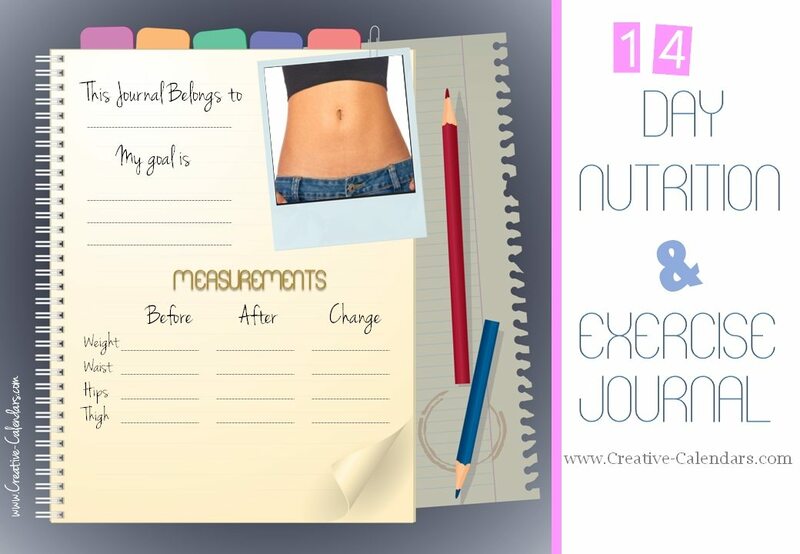 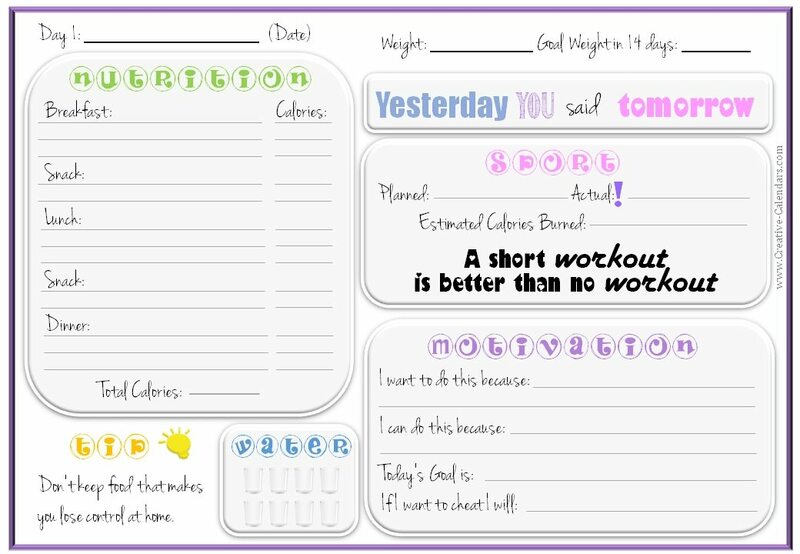 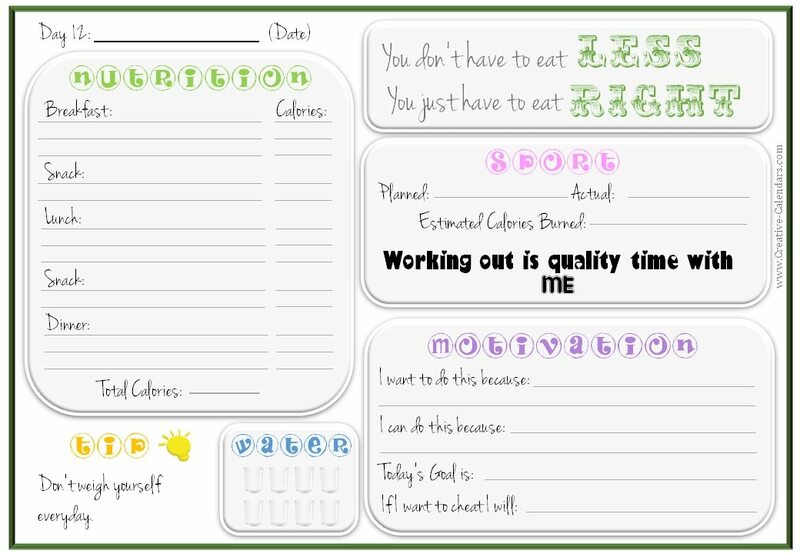 This is a 14 day nutrition and exercise journal to slim down, eat healthy and workout. 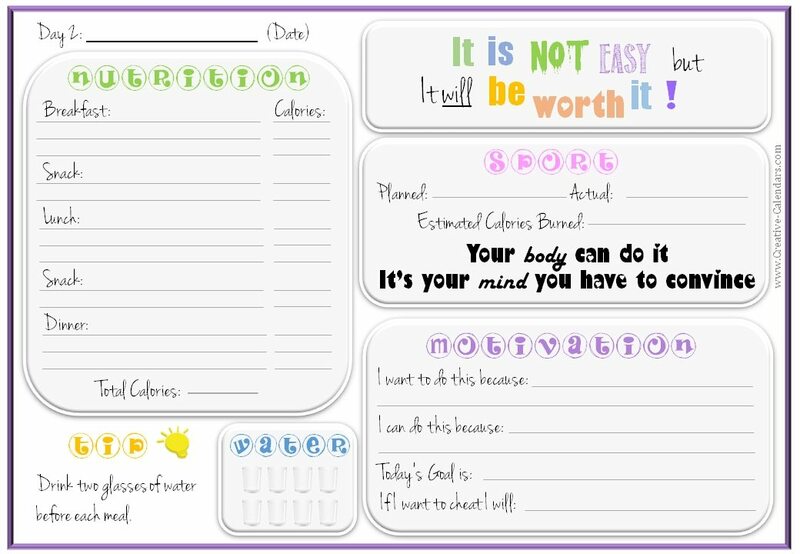 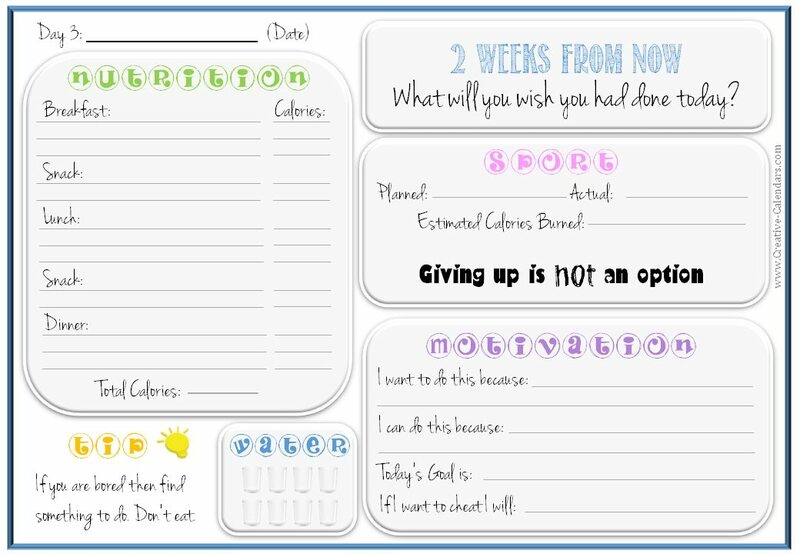 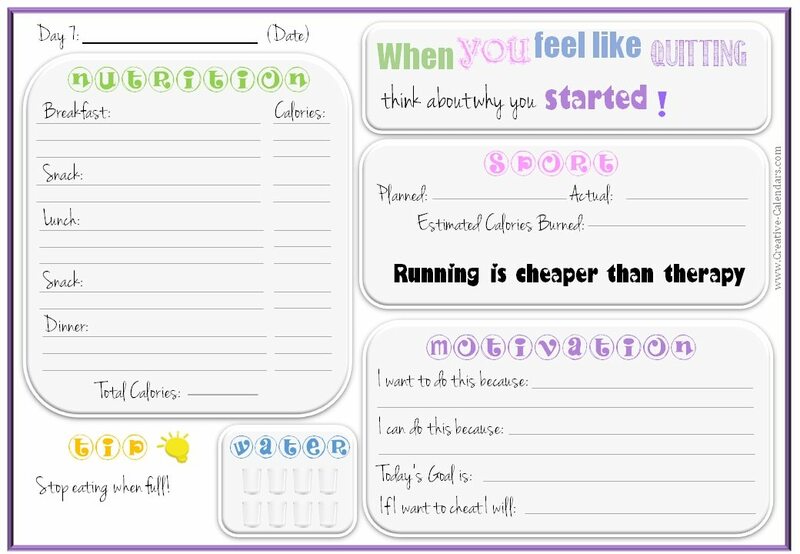 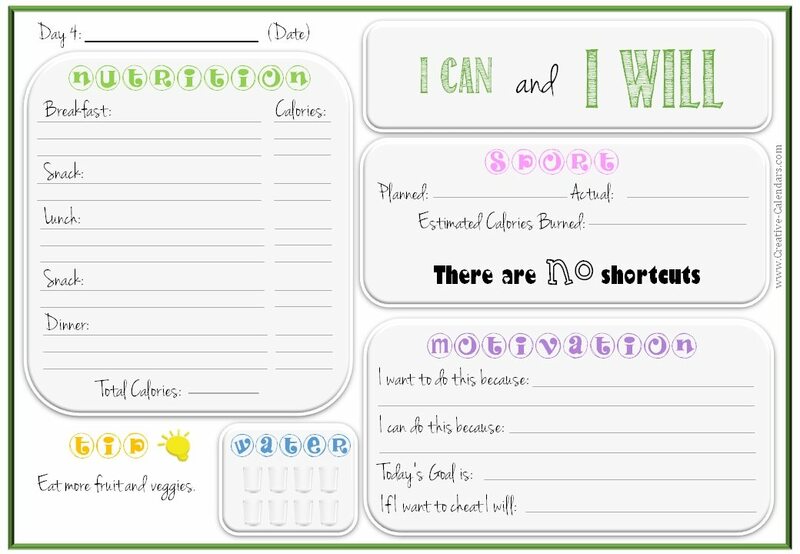 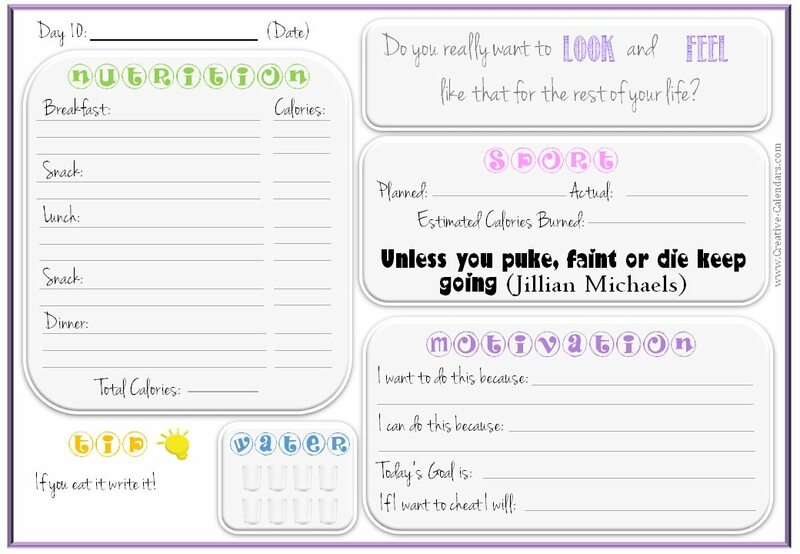 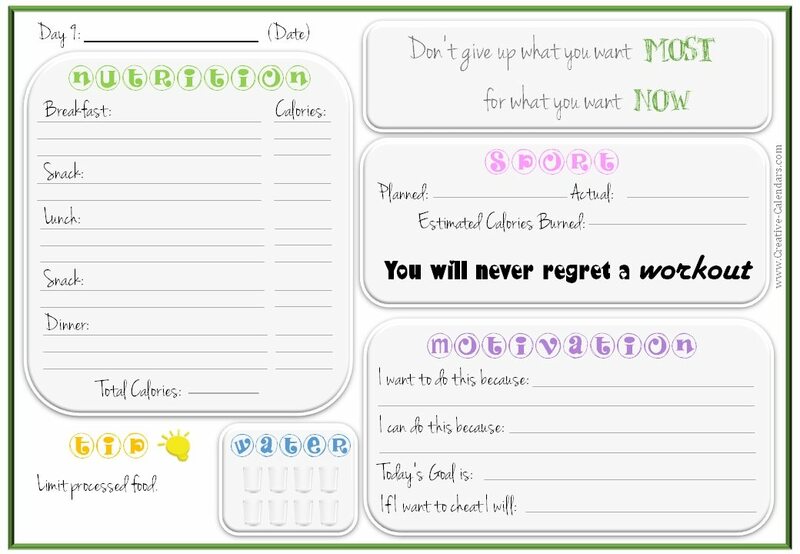 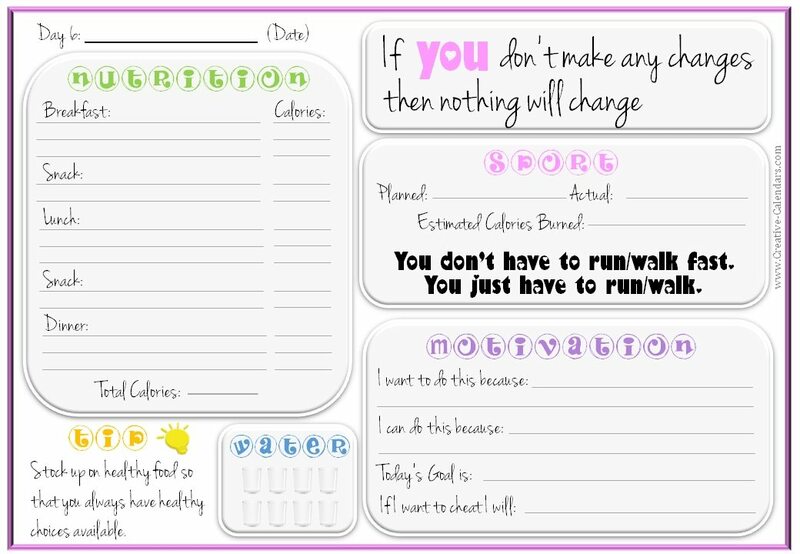 Each day has space to record the food that you eat (calorie count), how much water you drink and the sport that you plan to do and actually do. 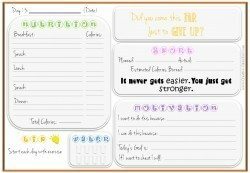 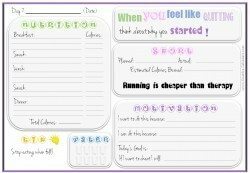 Each day there are motivational quotes to keep you motivated throughout the 14 day diet and a tip to help you stick to the program. 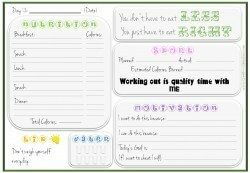 Diet might not be the best word since I made the journal to help myself make a lifestyle change and not for a 14 day diet. 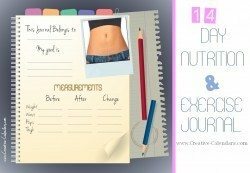 The journal really helped me which is why I decided to share it with anyone else who might find it useful. 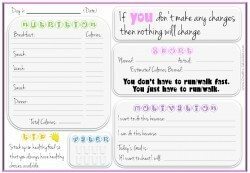 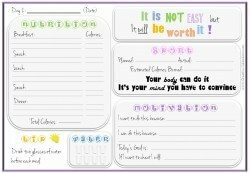 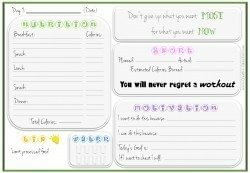 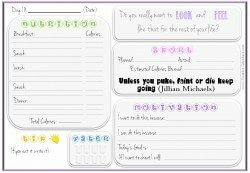 Each day, there is a section to write your own thoughts on why you want to make these lifestyle changes, the tools that you have to make them, the small change that you will make that day (i.e. 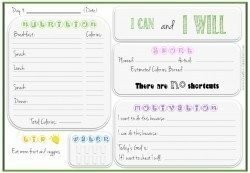 the goal for the day) and what you will do if you want to cheat. 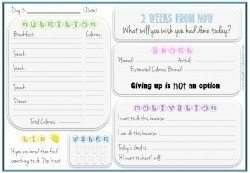 I find it helpful to fill out this section when I am feeling strong and then read it again when I am not feeling as strong. 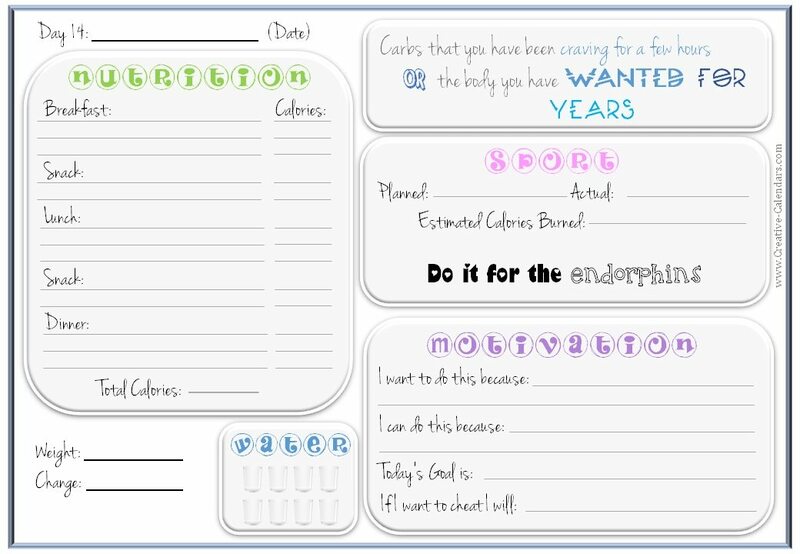 These are pretty open questions to enable you to write whatever you want. 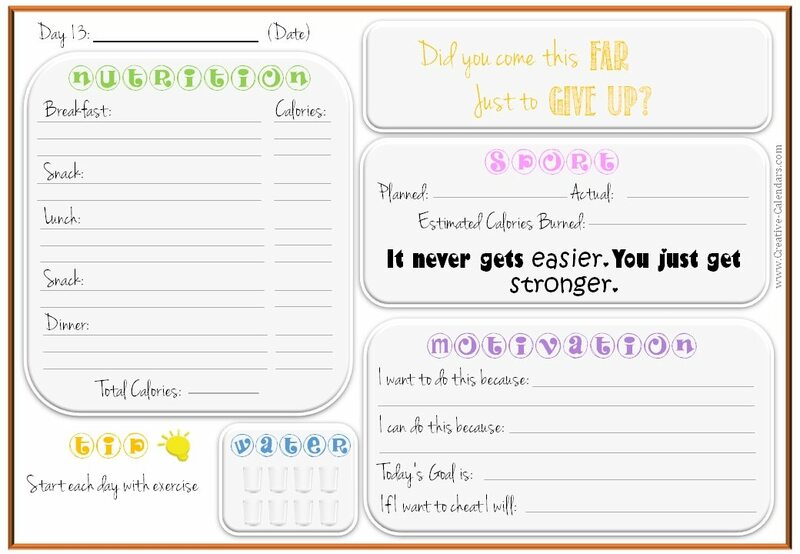 If you notice that your motivation is waning, read the motivational quotes, tips and your own thoughts from the entire journal to remind you why you want to make this change in your life and provide you with the tools to do so.